November 16, 2015 10 comments on "Benotto Bicycle 1979 Catalogue"
Thank you to Steve Whitmore for sharing this Benotto catalogue from 1979. This is part of the attempt to document all pre 1985 Benotto models. Hopefully this will help others identify or restore their 1979 models. 10 Comments on "Benotto Bicycle 1979 Catalogue"
Did it have Shimano EX components? I believe it may be related to the type of componentry that came with your bike. As for a source for frame numbers? I’m not sure if there is a reliable place for Benottos. Hi Stephen, yes it’s likely a track bike if it doesn’t have the rear derailleur hanger or cable guides. Is the bike’s paint original or repainted? Some Benotto bikes have been retrofitted into single speeds because their geometry lines up so well. The 26mm seat post opening is throwing it off. It should be at least 26.4mm. Or perhaps a different kind of steel was used, but that’s unlikely. I Have a benotto with a serail number: A986422. Any Idea how I can figure out where and when it was made? I have just been given a benotto modello ‘Milano San Remo’ but can’t find this model anywhere. What year is it? Is it 800 or what? Hope you can help. Hi Eddie, do you have some photos of your bike you could share? It would make it easier to identify it. What are the shapes of the chain stays? 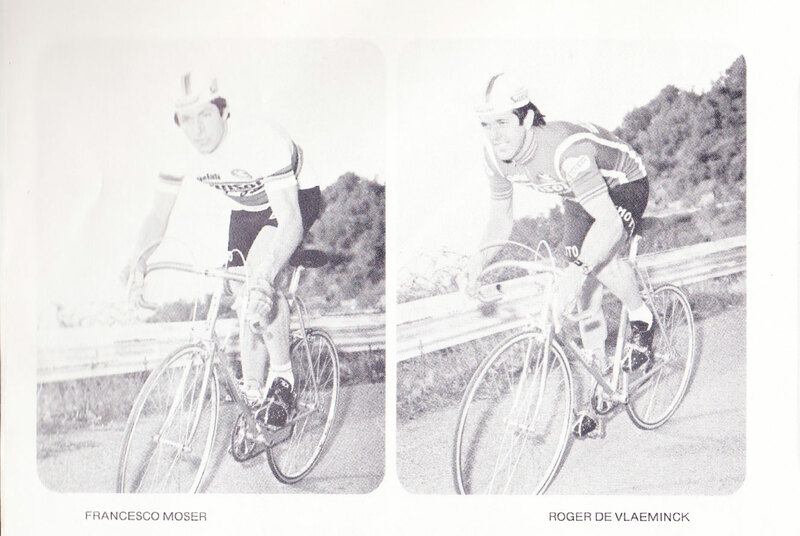 Roger DeVlaeminck won Milan San Remo riding a Benotto in ’78. They likely made a model to celebrate that win. I bought my Benotto while station in Wiesbaden AB, Germany in or about 1973. I still have it today. Haven’t ridden it in over 25 years. If I get the chance I will sent you a photograph. @John: would like to have a photo too.